Sullivans Mining and Hardware was started from scratch in 1991, at Cobar, when the company Allan and Sheryll Sullivan opened up for business. 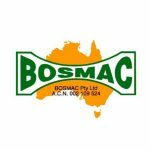 Today they boast branches at Parkes, Orange, and Dubbo and service a large rural and industrial mining customer base covering central and western New South Wales. Providing a wide range of industrial and mining and construction related products at each location and supporting this with a service first focus, Sullivans is a major force in the market segment west of the mountains.